The word ‘holiday’ for most us means blue skies, sunshine, relaxation and getting away from the stresses of daily life and work. However, for those with respiratory conditions you may think that having a holiday is actually more stressful and relaxation away from home is simply an aspiration, which is unlikely to happen. Just because you need oxygen doesn’t mean you have to be stuck at home. 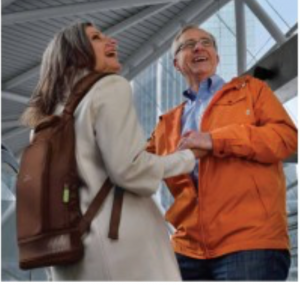 With the portable oxygen concentrators now available from Pure O2, even as a COPD sufferer you can claim back your freedom and your mobility. 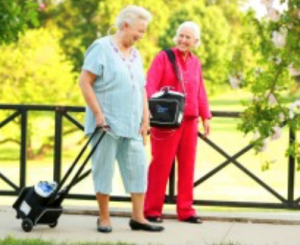 We have had patients who had not gone beyond their garden gate for many months, until they discovered how Pure O2 could help them with our wide range of portable oxygen concentrators. To see more about the products we offer both for purchase or rental visit our website http://www.healthoxygen.com. In fact, the staff at Pure O2 are always at the end of the phone to help and advise you about your oxygen needs around the clock. 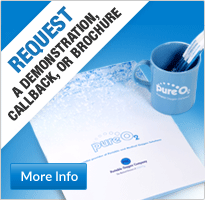 As a trusted name in the oxygen concentrator market, you are guaranteed customer satisfaction and patience from our experienced and qualified staff. They will happily listen to your every concern and question and never hurry you to decide which oxygen concentrator you require. 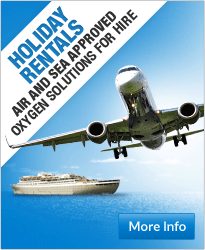 We want your holiday to be a success too, so ensuring you have everything in place that you might need is imperative. 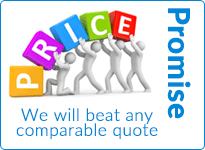 To speak to one of our advisors and find out how friendly our advisors are first hand and which oxygen concentrator might be the most appropriate for your needs give us a call on 0870 712 0202, or our UK freephone number (9am – 5pm) on 0800 145 5902. Alternatively, if you are calling from overseas you can use our international number +44 (0)161 747 2617.